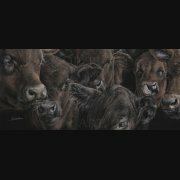 Home › Fine Art Cattle Prints › How Now...? Shorthorn Cow Art: How Now..? 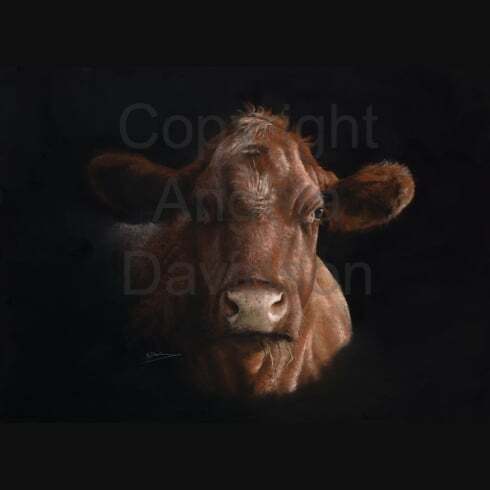 As shorthorn cattle are a brown-ish colour, we got to thinking about brown cows when searching for a title for this print. So, all together now: "How Now..?" Email a Friend How Now...? Ask a Question How Now...?